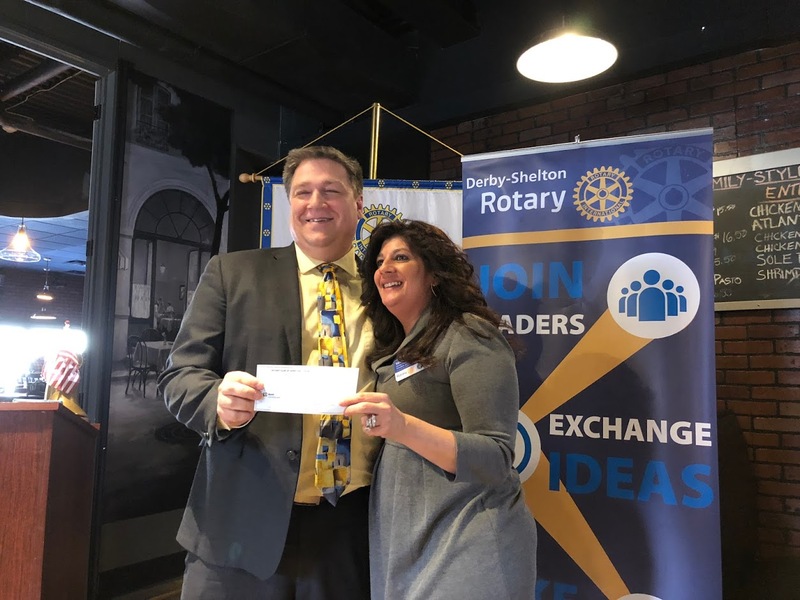 Housatonic Council, BSA Executive John Zseller is all smiles as he holds a $1,500 check being presented by Rotary President Silvia Rodriguez at a recent meeting. The grant will be used to fund outdoor programs for the Scouts including activities for girls who are now part of Scouting. The Derby-Shelton Rotary Club also presented a check for $315 to Bill Pucci of the Albarella Committee which conducts the annual Albarella Banquet and Awards Dinner which honors members of the Derby High School football team. For more information about the Derby-Shelton Rotary Club Grant Program, click here.